Top image: Case study posted on the Fortville Feeders web site. 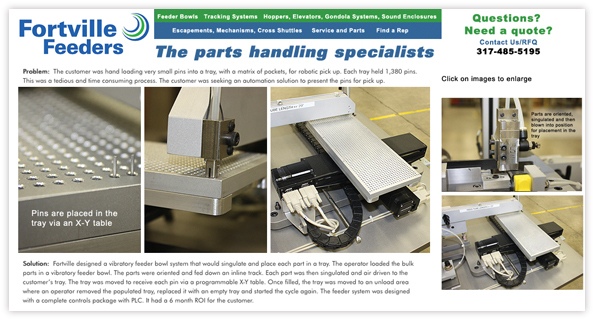 Middle image: E-blast sent out to customers that promoted the case studies, with links to the web site. 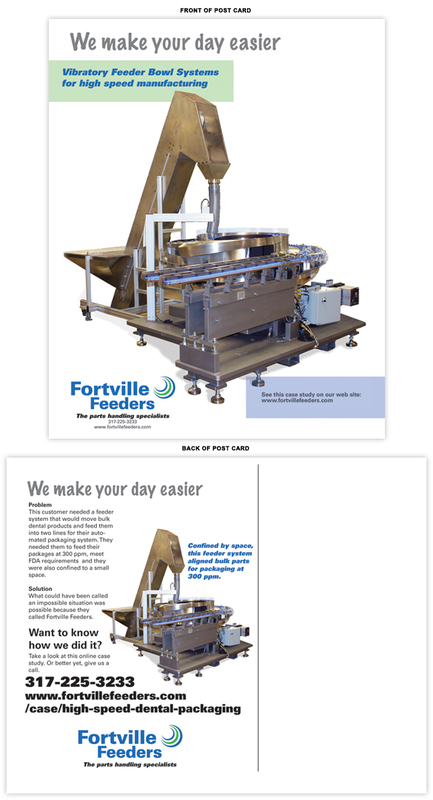 Bottom image: Direct mail, oversized post card was sent to a mailing list accumulated at trade shows that prompted the customer to link to a specific case study on the Fortville Feeders web site. 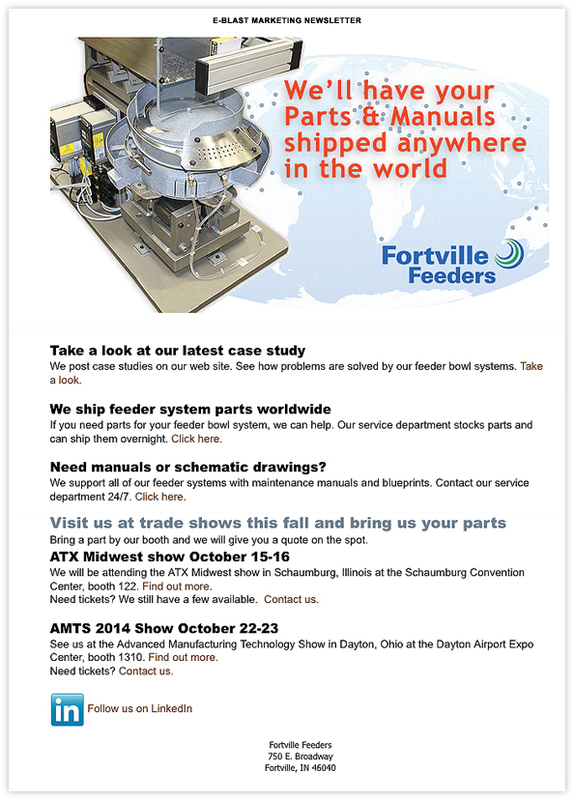 Fortville Feeders, Inc. is a producer of high speed, automation equipment for advanced manufacturing. 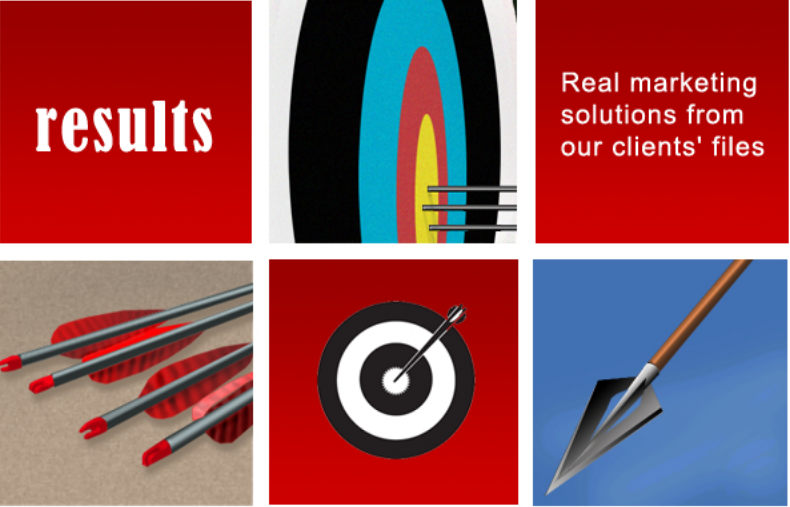 We were given the task of engaging their customers with online case studies that highlighted challenging projects. We focused on a problem/solution story line that gave the case study validity. This created a following of customers who looked at the case studies on a monthly basis. We delivered the case studies in three ways. First, we sent out a monthly e-blast to the current customers. Secondly, we used social media posts to connect with industry followers. Lastly, we sent out direct mail post cards to both customers and potential customers who had been met at trade shows. This covered three segments within Fortville's target market and allowed us to drive the highest web site page views to the online case studies.